Stephen Ryan, horticulturalist, author and broadcaster, started working in his father’s nursery at the age of ten and at the same time joined the Mt. Macedon Horticultural Society. By the age of 19 he was the president and still is to this day. After completing a Gardening and Turf Management apprenticeship, and achieving an Award of Merit as the top Victorian apprentice he subsequently was awarded two scholarships, one in the United Kingdom and the other in New Zealand. On Stephen’s return to Australia he ran his family nursery until he started his own nationally recognised nursery Dicksonia Rare Plants a few years later in 1980 and has been a passionate plant collector ever since. Having started with writing articles for magazines and newspapers, Stephen’s media presence has developed to the stage where he does a regular radio slot with Melbourne’s 3CR station. In 2002 Stephen was awarded a Radio Laurel by the Horticultural Media Association for his segments on ABC Radio 774 3LO. Stephen has often appeared on a variety of television programs, however he is best known for his role for three years as host on ABC Television’s Gardening Australia. Stephen lectures and holds seminars both in Australia as well as overseas which have included a lecture that was translated into Spanish as he spoke to an audience in Argentina. As a plant hunter and traveller he has travelled to many places in the world such as Namibia, India, Oregon, England, Ireland, South Africa, Peru, New Guinea and France as well as the aforementioned Argentina. He has also led tours into Madagascar and North West France. He has published three books on rare plants that have received rave reviews and his manual contains over 2000 plant entries of rare plants available in temperate Australia. He also contributed to the two large tomes produced in Australia Botanica and more recently Flora. Stephen’s garden and nursery hold three national plant collections, Cornus, Sambucus and Acanthus, for the Garden Plants Conservation Association of Australia. In 2001 the Royal Horticultural Society of Victoria recognised Stephen with a John Pascoe Fawkner Gold Medal for “Distinguished Service to Horticulture”. 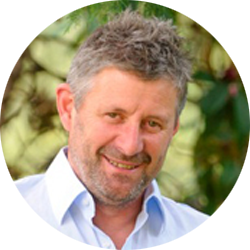 Since departing Gardening Australia, Stephen is now writing for a New Zealand magazine Weekend Gardener, and has started writing another book, which will be on the development of his own garden, ‘Tugurium’.